When a walking route hits you with an opening salvo of dramatic plunging ravines and a mesmeric snow clad peak hovering mystically in the distance you wonder how its encore can possibly match what would be the ‘wow’ inducing highlight of most walks. An hour and a half into our route walking through the Garajonay rainforest and we emerged into a clearing to be met with a vision that not only out-wowed the vista at the start of our walk but also made me feel as though I’d stepped through a portal into a completely different world. 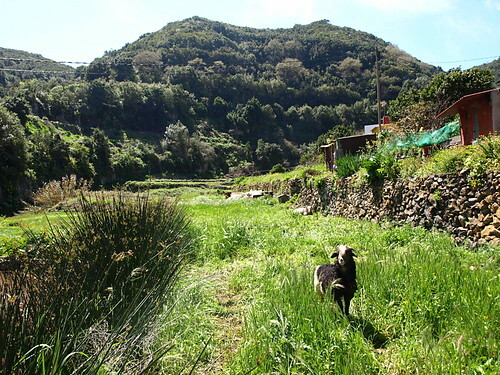 Having a friend, Jo, who lives in a remote valley on the edge of the forest on La Gomera is somewhat of a bonus for people who like to pull on the hiking boots and boldly go where not too many have gone before. 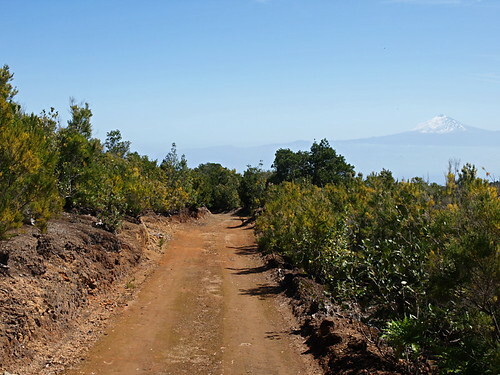 Not only do we have an away from it all place to visit when we want to get…err, away from it all, we also have someone who knows the rainforest very well and that means you get to discover hidden treasures when walking on La Gomera. When I say Jo ‘lives on the edge of the forest’ I’m not exaggerating. A path that is little more than a goat trail leads from our friend’s house right into the heart of the forest. Within ten minutes of setting off we were traipsing along a ruddy trail along the top of a a ridge where the breathtaking vistas were coming so thick and fast that I could have done with a Spartan’s shield to fend them off. 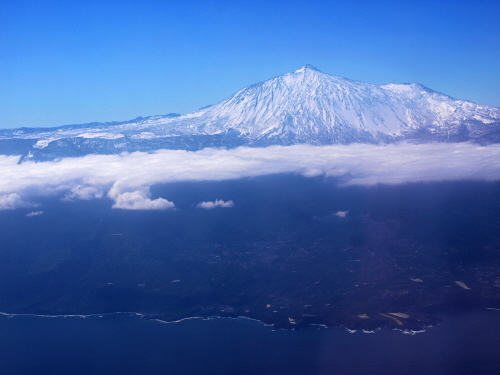 Mount Teide on Tenerife across the water, looking like lord of the manor in its winter coat, dominated the scene and I had to reluctantly concede that the Gomeros were probably right with their claims that they have the best views of Spain’s highest mountain. But I can see spectacular views of Teide walking on Tenerife any day of the week, far more interesting were the views on either side of the ridge. Views down tree carpeted, unforgiving valleys that had been battling man’s intrusion for centuries. In a few places man had won, for now, and tiny emerald terraces replaced the trees. But signs of humankind were sparse and restricted to a few scattered cottages that broke up the general greenness of the landscape. Normally when we walk this route Jo takes us to a magnificent viewpoint overlooking the coast above Hermigua but this time there was something new she wanted to show us; something that, after living there for thirteen years, she’d only just discovered. We descended into the forest passing trickling streams and tiny waterfalls (a novelty to us) until we reached some farming lands where curious sheep eyed us as we passed ramshackle pens. The paths were completely un-signposted and even though there were two in the group who knew the area well, we took a wrong turning at one fork in the path. Luckily it was at a junction where I paused to take a photo of some sheep (sheep are also a novelty to us these days). A farmer with a drystone wall of a face and an accent as thick as the local palm honey emerged from the sheep pen to point out that we were heading in the wrong direction. Back on track we joined a narrow tarmac road for a short while before re-entering the forest at a signpost pointing to the intriguing sounding ‘Meriga Damp’. Our path ran parallel with another forest stream before we parted company with the water, climbed a hillock and emerged into a sun dappled clearing and what was possibly the most delightfully surprising sight I’ve encountered walking in The Canary Islands; the Meriga Damp. 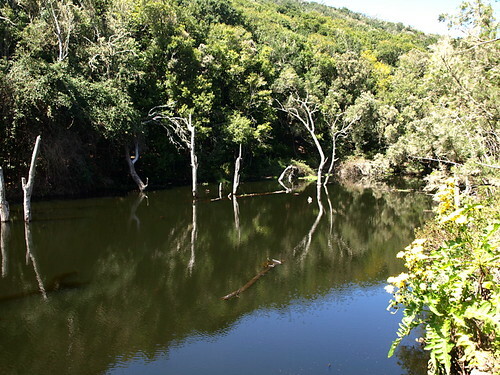 The mirror calm waters of this beautiful hidden lake were broken only by the ghostly silver sculptures of dead trees and the slight ripples caused by neon-coloured darting dragonflies. It was a scene that was pure Louisiana swamplands rather than La Gomera rainforest and all that was missing was an alligator and the theme tune to True Blood. We spent a leisurely half hour at the side of the secret lagoon, mostly just staring, transfixed by its unusual features, and murmuring ‘incredible’ every now and again. It is one of those walking ‘Holy Grails’ and I have to admit that I was selfishly tempted to not mention its existence. 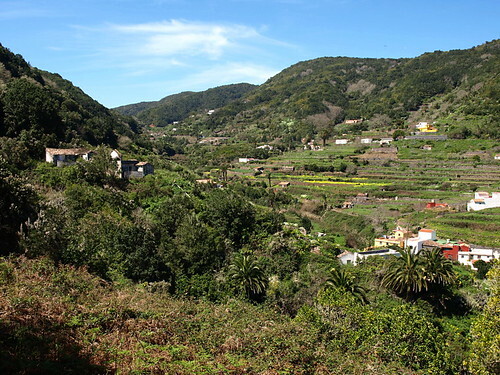 But ultimately travel experiences are for sharing…and anyway, anyone who is adventurous enough to tackle the spaghetti junction of paths through La Gomera’s lush forests deserves to be rewarded with something that’s just that little bit special. 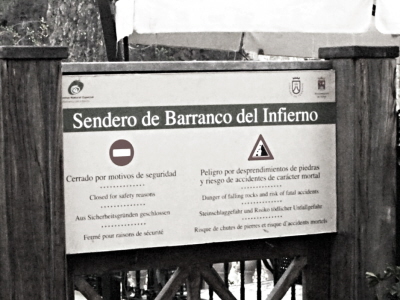 Difficulty Level: 3 Hikers – well within the range of reasonably fit walkers. I have no words. Beautifully written! I was with you every inch of the way, and drew a sharp breath when I saw the final photo. 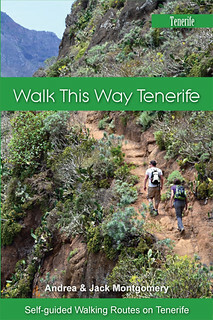 Moving walking in La Gomera up on my bucket list! Hmm intriguing. 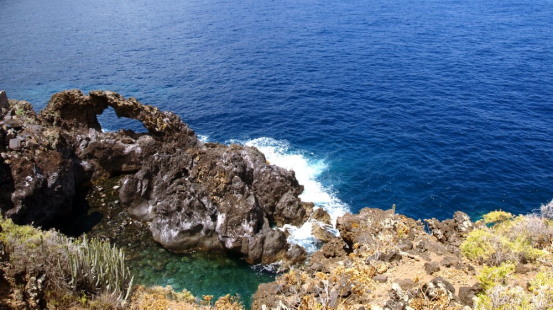 I have walked almost every year in La Gomera since 1987 but never found this place. Nor even heard mention of it. Any more clues as to its wherabouts? Does it feature on any maps? 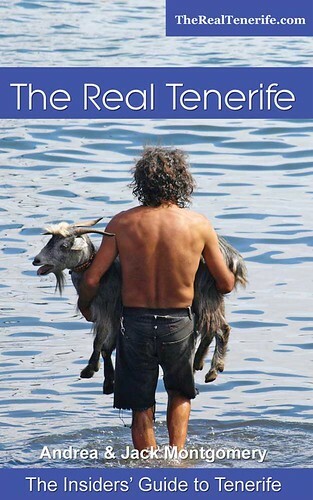 We shall arrive in La Gomera once more on Sunday 27th March – you might have set me a quest. Very enjoyable article. Thanks Linda. It is an absolutely exquisite spot. It was the trees in the water that really blew my mind. Just didn’t expect those at all and its location made it feel like a true hidden treasure. I’m not surprised LOL. Like I mentioned, my friend actually lives quite close and had walked within 100 yards of it many times and has only recently discovered it. 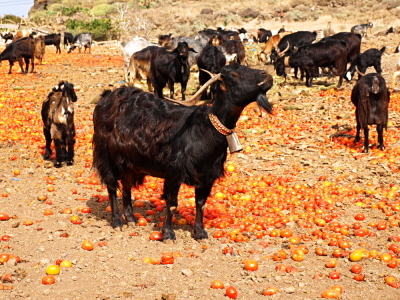 She lives in Los Acevinos which is near the centre of the island (almost directly inland behind Hermigua). If you use Google maps zoom in until Los Acevinos shows and then to the left of that you should see Meriga. If you use satellite view you can actually make out the lake. There were no signposts at all until we were very close (probably where Meriga is written on Google Maps) and then there was one just off the road. Of course as you’ll know, the trouble with the forest is that there are paths heading off all over the place…but the big clue here is the stream. follow that from the road and you should find it. It should be Meriga Dam, but they got it slightly wrong. I quite like it the wrong way. OK have set a waypoint in my GPS. I know cheating. Thanks! 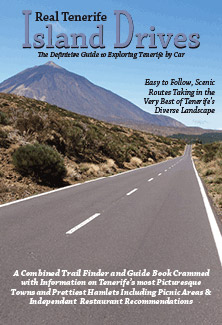 Hi, we’re in Tenerife 15-29 April 2011 and my husband would like to do a guided trek of Mt Teide with an assent. Can you recommend any companies who do this?? I had read that there were free daily tours but I contacted the National Park Offices and they were unable to advise. Any advise would be brilliant.